Clients and their guests will love spending time in their newly remodeled kitchen. You can share meals and moments while enjoying the benefits of the modern fixtures and remodeling products from ProSource® of Peoria. Help transform your client’s kitchen into a striking and appealing gathering place. 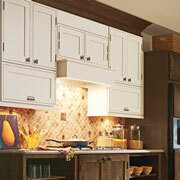 One of the first places trade pros start with a kitchen remodeling project is with the cabinets. While at first glance, they might be just a place to store their blenders, dishes, and glasses, cabinets are actually one of the largest decorative spaces in the kitchen. Meet with our design team to find the right style cabinets for your client. 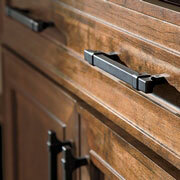 Cabinet hardware can add a fun and fresh touch to your client’s new kitchen cabinets. Trade pros know the visual impact the right handle, knob, or pull can make on a cabinet face. We encourage trade pros to bring their clients to our showroom to see all of the hardware we have to offer. Finding the right countertop for your client’s kitchen can feel overwhelming sometimes. 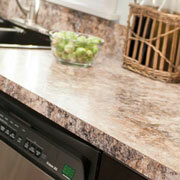 Luckily, our kitchen design experts can help you sort through our selection of countertop materials. Maybe a new countertop would look nice in your client’s kitchen, or perhaps they want one made from recycled materials? No matter their wants and needs, we’ve got a countertop that will fit. 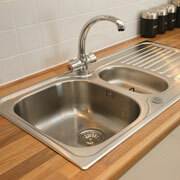 We offer a dizzying selection of kitchen sinks made from steel, marble, porcelain, and much more. Trade pros can offer their clients a single-, double-, or even triple-basin sink that perfectly matches the way they use their kitchen. 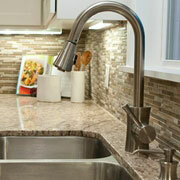 A new kitchen faucet is a perfect way to tie together the look and feel of a newly remodeled kitchen. At ProSource, you’ll find faucets that can be fitted to nearly any sink and are made from top-quality materials and finishes.